I trace my love for meringues and whipped cream back to Angel Pie. If you've never heard of it, Angel Pie first appeared in the 1950s Betty Crocker Picture Cookbook and is a meringue crusted pie filled with soft custard, curd, or chocolate and topped with whipped cream. As a kid, Angel Pie was a staple at all of our family events - birthday parties, Thanksgiving, and Easter. There is just something about the chewy meringue and fluffy cream that is completely comforting and addictive. 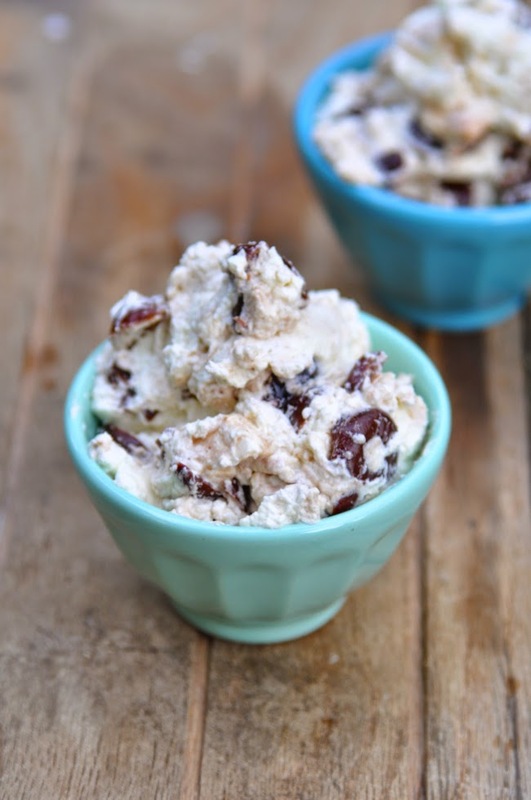 So when I was flipping through The Nourished Kitchen and spotted Roasted Sweet Cherry Fool I knew it was next on my list. A fool is essentially a deconstructed and mashed up Angle Pie. Every bite has a bit of fruit, cream, and meringue. This was my first experience roasting cherries and man oh man I'll do it again. The smell is incredible and the little fruits just leak blood red juice. 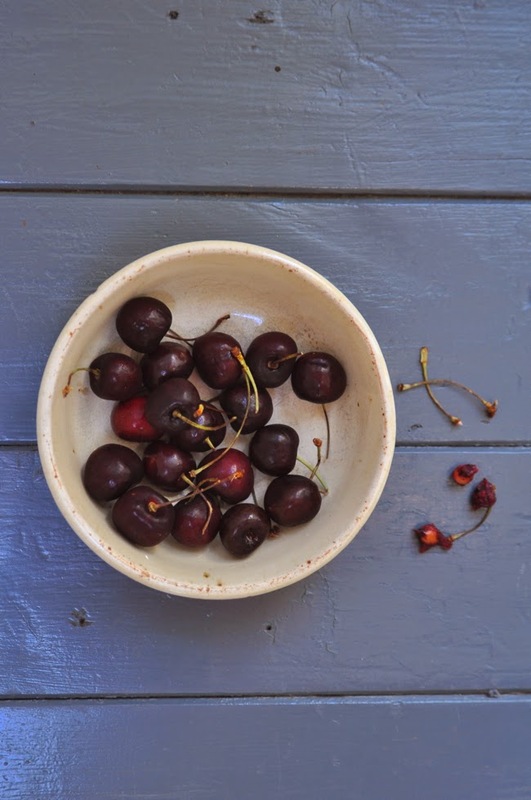 Remove the pits from the cherries, and, as you do, drop the cherries into a mixing bowl. Add the sugar, salt, and kirsch, then toss the cherries until evenly coated. Transfer the cherries to a 9 by 13 inch baking dish and spread them into a single layer. Roast for 10 to 12 minutes, stirring once, until they release their fragrance. Allow the cherries to cool to room temperature, about 20 minutes. Pour the cream into a bowl and add the vanilla. Whip with a whisk until the cream holds soft peaks. Stir the cherries and their juice into the whipped cream and fold in the chopped meringues. Serve in individual glasses or bowls. 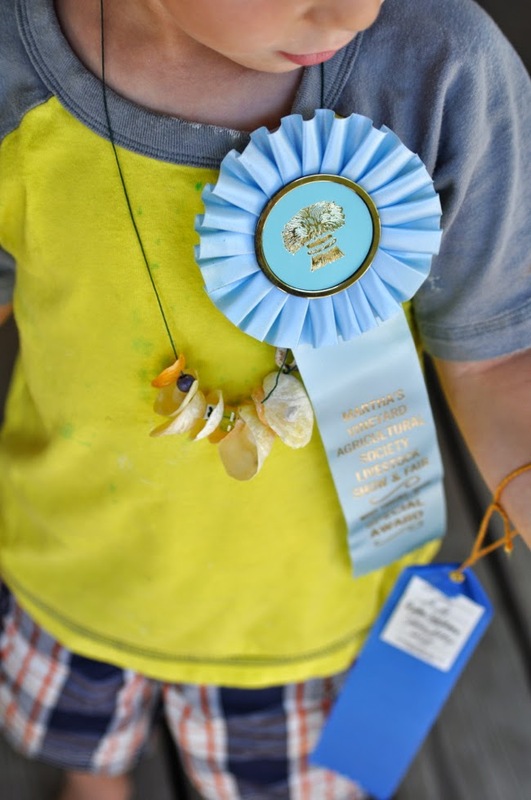 The Fair grounds are officially deserted but Dylan picked up his ribbons this week and is seriously psyched on them. 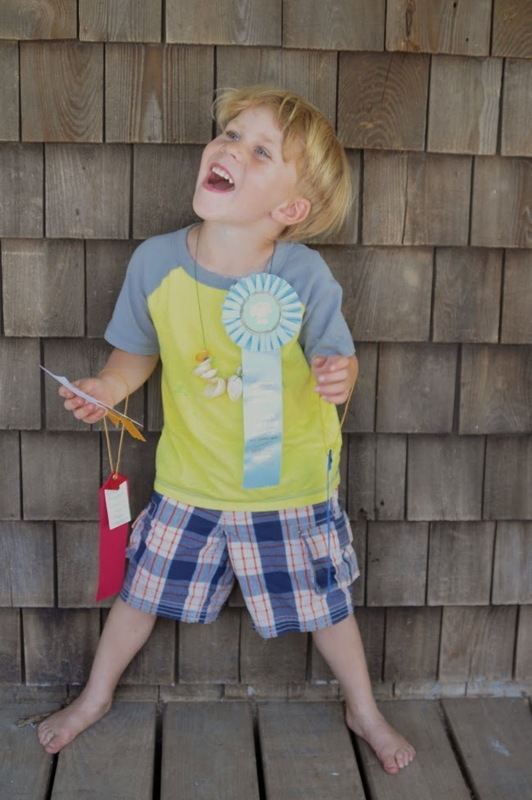 His fair entries included: a scarecrow, crayon Titanic drawing, and zucchini bread. I love how those three items perfectly sum him up. It'll be fun to see how his fair entries change over the next few years. Angel Pie! That brings back memories!